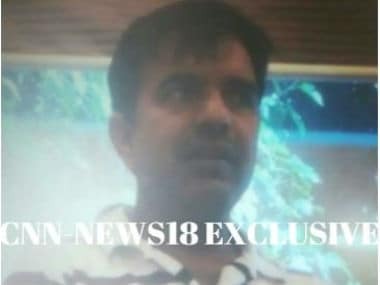 Acting tough on an arrested Pakistani spy Mehmood Akhtar, who was handling espionage activities in the guise of an employee in the High Commission in New Delhi, India on Thursday asked the neighbouring country to recall its staffer within 48 hours. "Pakistan High Commission staffer Mehmood Akhtar has been declared persona non grata for espionage activities, given 48 hours to leave India," said Ministry of External Affairs spokesperson Vikas Swarup in a press meet. His family also have to leave within the deadline given. "Mehmood Akhtar was intercepted by Delhi Police yesterday while he was receiving sensitive documents pertaining to national security of India,"he said. Swarup said that following an intelligence tip-off, Akhtar, who was among the personal staffers of Pakistani High Commissioner Abdul Basit, was detained for a short while by the Delhi Police before being released due to his diplomatic immunity. "Mehmood Akhtar stated that he had joined Baloch regiment of Pakistan Army in 1997, came on deputation to ISI in 2013. Mehmood Akhtar was posted in September 2013 to Pakistan High Commission, where he's currently working," he said. The external affairs ministry spokesperson said that while the spy ring has been busted, "the ring-leader has been sent back." Swarup refuted allegations by the Pakistani High Commissioner made earlier in the day that Akhtar was mistreated and harassed in police custody. He went on to give a line by line rebuttal of Pakistan's allegations. 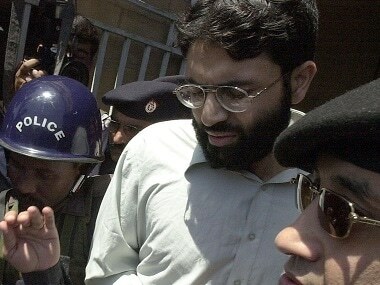 Swarup said that Akhtar was detained but was treated with courtesy in accordance with his diplomatic status. He said it was Akhtar who indulged in subterfuge and tried to conceal his identity initially. Swarup told the press that Akhtar himself, in the presence of MEA officials, had said that he was treated well. The Pakistani High Commissioner had even lodged a protest over the "detention and manhandling" of Akhtar with the Indian authorities strongly rejecting the Indian accusations, terming them "false and unsubstantiated." Basit said that the detention of was in violation of 1961 Vienna Convention. On the Pakistani allegation that Indian conduct was in violation with the 1961 Vienna Convention, Swarup said that no convention bars a nation from acting against a person whose conduct is not in line with his diplomatic status. He said, "India was well within its right to declare him persona non grata." With Pakistan losing no time to link the spy saga as India's attempt to divert attention from Kashmir, Swarup said that he "fails to understand the rationale" behind such a statement. In a strongly worded statement, "India", Swarup said, "has conveyed its objection to Basit, stating that it should ensure that all Pakistani diplomats should act in a way that merits their diplomatic status and should not indulge in acts manifesting enmity to India." The Delhi Crime Branch also arrested two persons, both residents of Rajasthan, for allegedly passing on sensitive information to Akhtar. "The alleged spies are residents of Rajasthan working for Pakistan's ISI. They were in touch with the staff here at Pakistan High Commission and were providing sensitive information," said a senior police officer. Those arrested have been identified as Maulana Ramzan and Subhash Jangir, he said.